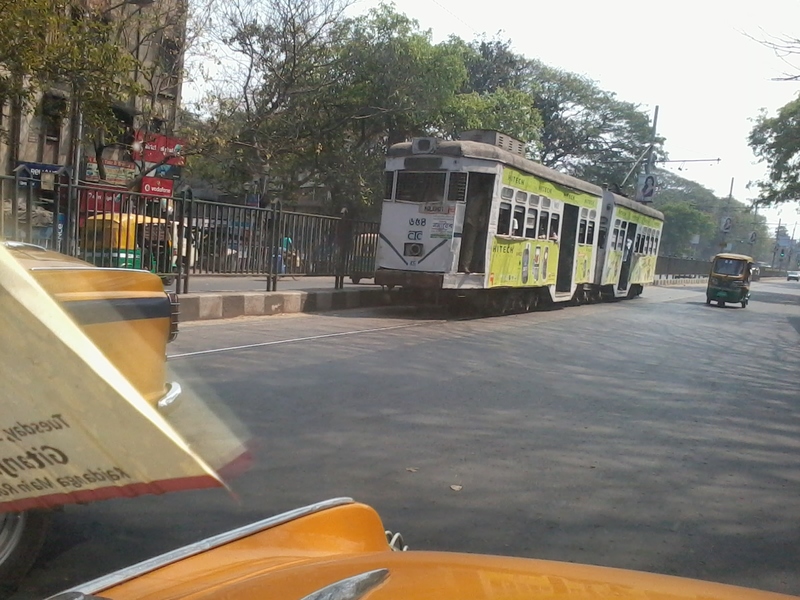 Kolkata trams. The only place they still operate in India. Part 2 of my Kolkata trip. Kolkata is dominated by 3 communities. Marwaris, who are mostly into owning businesses. (Originally from the Marwar region in Rajasthan. I touched this station on my journey to the Himalayas.) Immigrants from the nearby states of Bihar and Odissa as well as Bangladesh, who are primarily involved in menial jobs. And Bengalis. A visit to a friend’s area Barasat in the extreme north gives me a look at the entire length of the city. While returning, we pass Newtown, the newest part. Broad roads, tall buildings, parks. Reminds me a little of hi-tech city area in Hyderabad. Just like any other Indian metropolitan, a first-hand view of wealth disparity is seen while traveling across Kolkata. Both crushing poverty, and unbelievable wealth. On way, we stop at Haldiram’s to eat Raj Kachori. A world famous Indian snack brand, family disputes have broken up this company, with centres now in 3 other cities – Bikaner (where it began), Delhi and Nagpur (ate here on my Kanha trip). 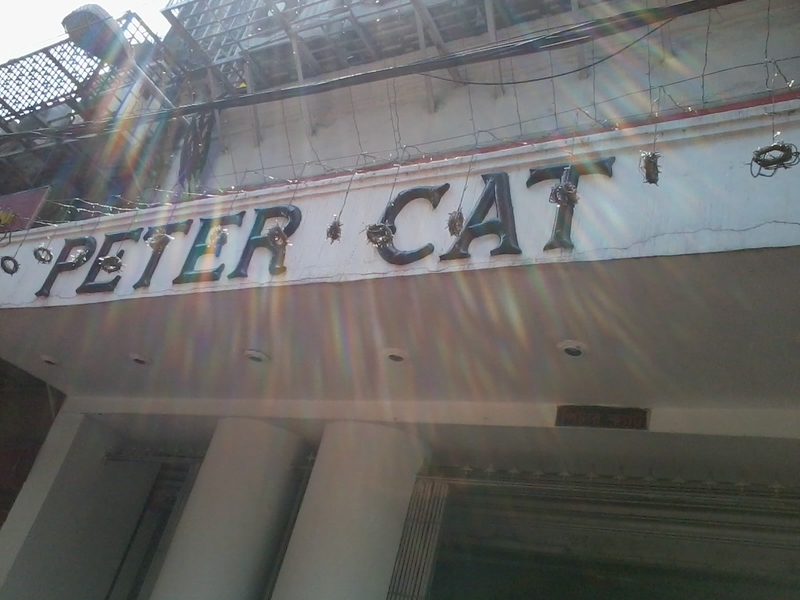 Near the reception location at Behala in evening, I try and have a look at the birth place of the Bengal Tiger, some consider, the greatest Indian captain. The extremely narrow entrance from the main road hides the huge mansion of Sourav Ganguly, also one of the richest cricketers. On the final day, I ride a boat on the Ganga, the holiest river in India, at the Outram Ghat. Originating in the Himalayas, it travels 2,500 kms and ends in Bangladesh, forming the world’s largest delta along with Brahmaputra. It also has 1 more thing to its credit – ranks among the top 10 most polluted rivers in the world. (Too many superlatives in this city!) It is a shame, we Indians have little actual respect for this lifeline we worship as a Goddess. I also see the the iconic Howrah bridge from a distance. And after all, my trip hardly did justice to the city. Pending – Belur Matt. Dakshineshwar temple. Kali Ghat. Howrah bridge. Shantiniketan. I promise them I will be back. So love learning more about your land. Very rushed planning my Facebook 76th Birthday and Book Launch. Are You a facebooker? More later. Stay strong I am working at doing the same. Hi Katherine, would you like to do a guest post regarding your book on my blog?